David: There is none. They are both the same, because non-living entities and living entities are part of Maya. Maya is the illusion. I said at the beginning anything that involves two or more is the Maya, is part of the illusion. So when we talk about sending blessings to all sentient beings or to all living beings we can start to say well then you get into the first question and confusion in the mind which ones are living and which ones are not living, are the rocks living or nonliving, are the leaves living or nonliving, are the animals, are the people, are the clouds, are the stars? This is a world of images. Galaxies, black holes, it just goes on and on, very vast. Only the mind that makes the split between living and nonliving is confused about itself. Because the Oneness never makes that split, the Oneness never has that condition. Some people will say I am going to make that division and then they say that the living entities are more important than the non-living. They would say the human being is more important than the chip. But that is not so. In God’s grace everything is equally important and equally loved. So this Maya, this illusion is a trickster. It makes up all these images and then it makes them into important ones and non-important, and says oh we better be careful about the important ones, but don’t even care about the non-important. And that happens with people too. They will say I care about my wife or my husband, I care about my son or my daughter, my aunt or uncle, my family but I don’t care about the rest of the seven billion. They put the seven billion into nonliving in their minds because they are so concerned with just those ones that are right in front. They get very stressful. They get very heart broken if some of those special ones leave or die or something happens to them. They are concerned when a special one dies but they are not concerned when one of the other 7 billion dies. They don’t care. So this is the Maya, this is the trick of this world by making some people, places, things, more special than another. The whole idea that more is better but they are all the same. So what is the opposite of that Maya? It’s Grace, it’s full appreciation, it’s Unity. When we went to the Ganges river and we were there and they were doing the ceremony we were surrounded by people, by chanting, by lights, and colors and everything and that is all…if you could appreciate, just appreciate everything then you feel happy. But also when we go up to my room in hotel Nirvana and I watched the fan, I need to appreciate that to. I need to learn, cultivate, appreciating everything. Full appreciation. 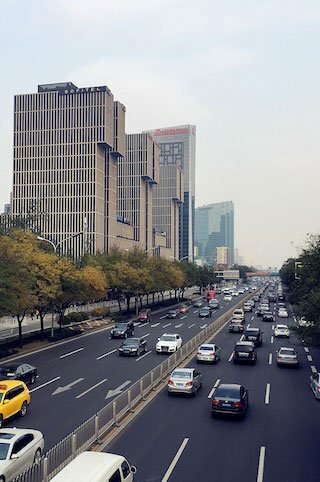 When I went to China, I went to Beijing China and the person who was driving me started apologizing for the city and I said “why, what are you doing?” They said, oh our city has so much pollution, our city is grey, smog, you can’t see the sun. But I said, why, I enjoy grey, I’m very happy with grey, I like grey. And they started laughing and then they were happy. Because I wasn’t judging grey. I wasn’t judging, oh this is smog, I didn’t have those thoughts. My mind was very happy to be in Beijing and just be with everyone that was around me. But I wasn’t judging the color of the sky. So that is really the answer, that the living and the non-living being are actually the same because images are images and we have to learn to appreciate them all without exception before we can be happy. Participant: He is asking that the living and that which is not living, they have differences in the characteristics, like the chair cannot read, it cannot talk. The living one can read, talk, eat. So he is asking then how there is no difference between the two of them because there is so much difference in function. It cannot function at all and the living one seems to be in a lot of function. How can they be the same? David: Quantum Physics says that the body is energy, the chair is energy, and we learn about frequencies and vibrations. We could say that the light, frequencies of light in this world are moving faster than the chair or the body. The body is moving at a slower vibration. So some energy seems to be very dense and we call it solid. We would say that wood seems to be more solid than the skin. And the skin seems to be more solid than the light or the air. But it is all energy. Different ranges of energy. Light is moving faster. And then there is the light, there is an energy that is of the Spirit that is even faster than sound, faster than the speed of sound, faster than the speed of light. And that is energy but this is pure energy. It is not slow. There was a scientist called Albert Einstein, he is the one who came up with E = m c 2. He said everything in the Universe is moving at the speed of light but there is this one particle that is called Higgs Boson. And this particle makes it seem as if some particles are moving slower than others, so it is a trick, a trick of the mind. Higgs boson is a trick of the Maya that some energy moves slower than others. And then we give it a name. Why do we give it a name? Spirit doesn’t give it a name but the Maya, the ego, say’s chair, human being, microphone, fan, you see it has got many names. We are back into multiplicity. Many, many, many. That is the ego. It names the nameless. If the energy is all one it doesn’t need a name. It just is one. But the Maya is naming everything. Different names, different countries, different values, different languages, you see how complicated the Maya is. And it comes back to our question of trust, if we trust everything can get really simple and we come back to love. The love in our heart.